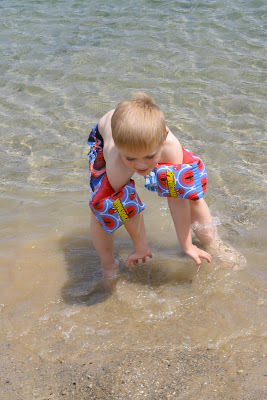 My Personal/Family Blog: A day at the Beach! Kobe just ate it up though...he throughly enjoyed the sand and the water. 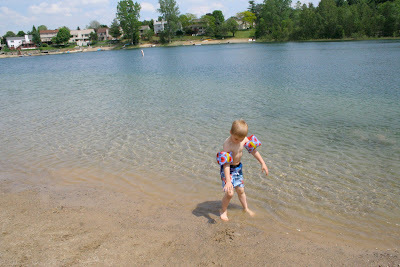 I am glad he likes lakes like he likes pools. He had a great day and it was nice to just play with him! We are having a fun time with Mark and Cindy! I know they are missing you guys! Love ya see ya soon! I am glad Kobe likes the beach as well as the pool. It looks like Kobe was having a great time. 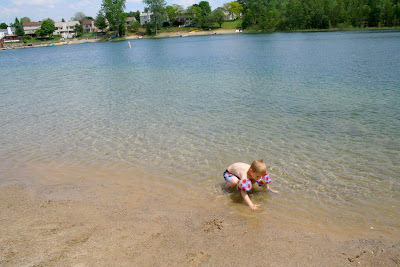 I am sure he will enjoy Ludington even more this year. I agree with David. Cold water is yucky! Looks like fun!!! 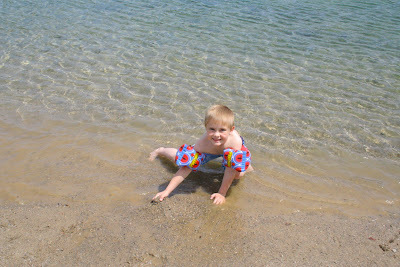 =) What beach did you go to?? Looks like fun! Cute new pictures. I loved seeing them tonight. That lake looks really clean! I might not even mind swimming in it!